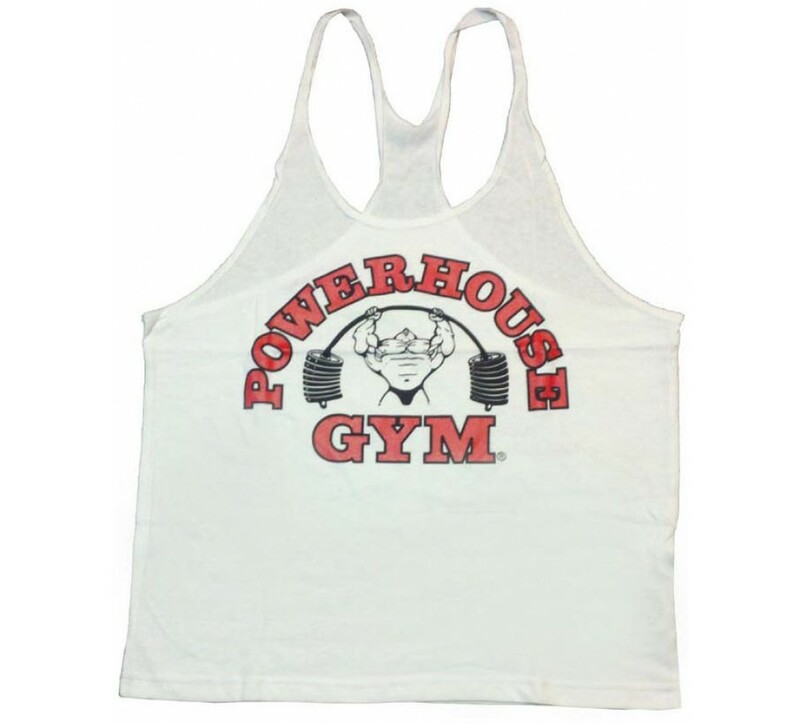 A Y-back tank top from Powerhouse Gym. 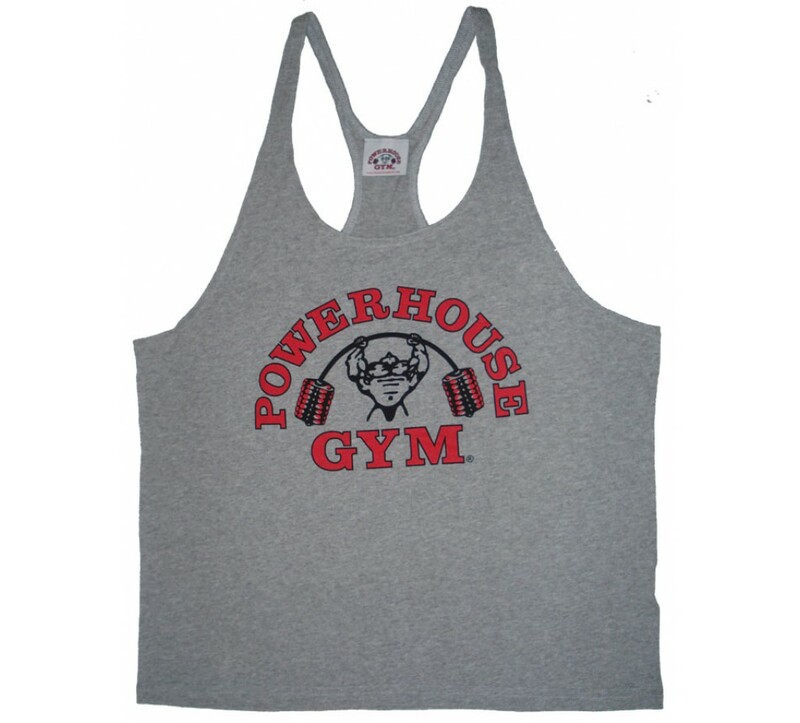 This string men's tanktop has narrow sewn shoulder straps so they won't roll-up. 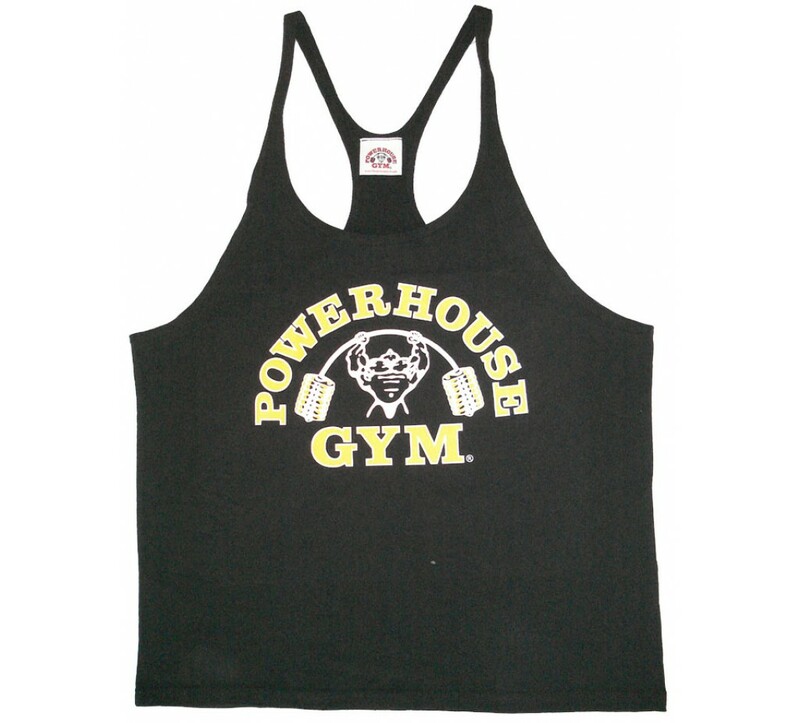 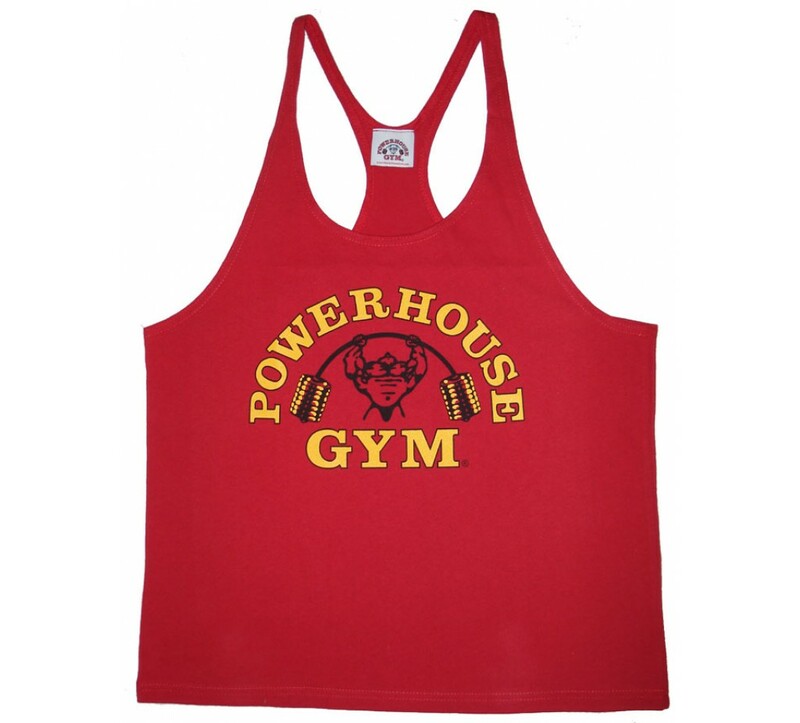 The Powerhouse Gym logo is screen-printed across the front. 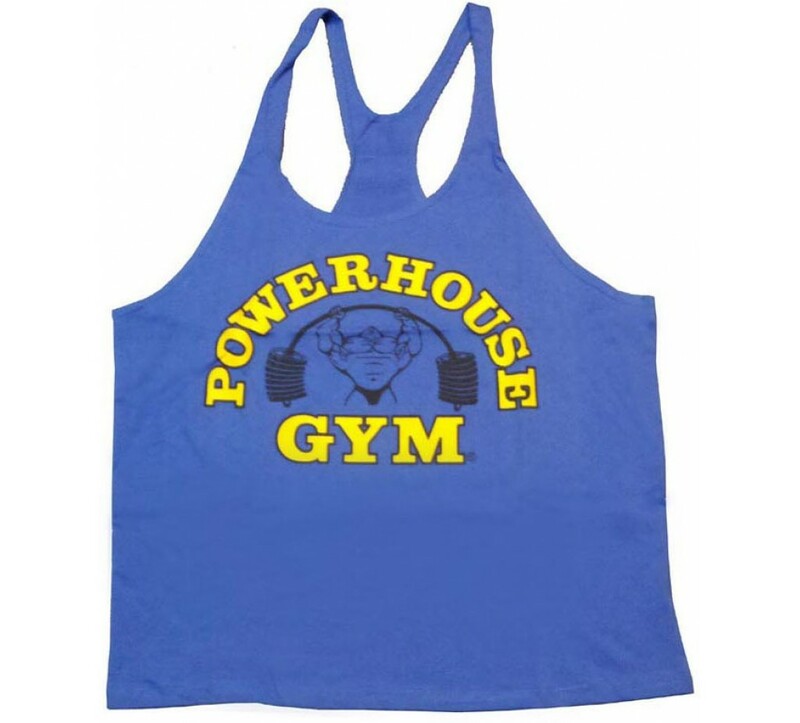 The mens y-back tank top is made from 100% cotton.